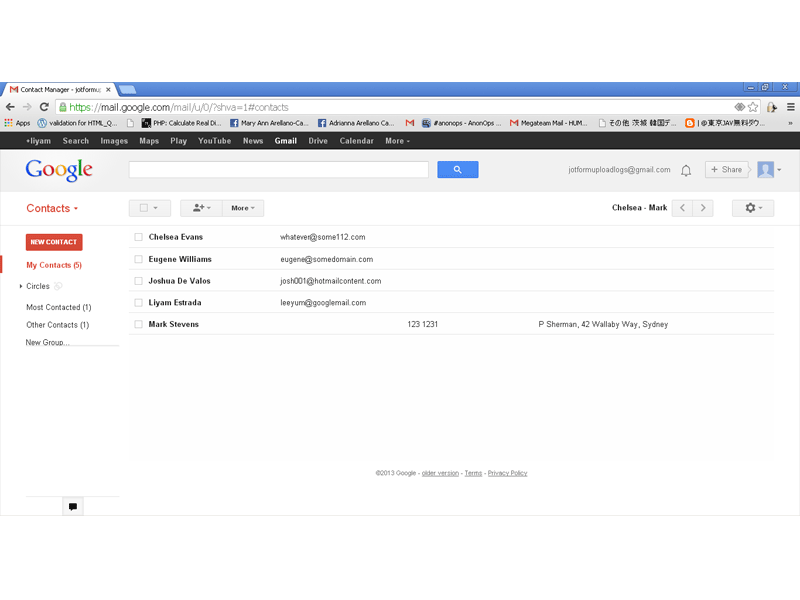 Google Contacts is your online address book, integrated with Gmail, Calendar, Drive, and other Google products. It is a way to store and organize contact information about the people you communicate with. 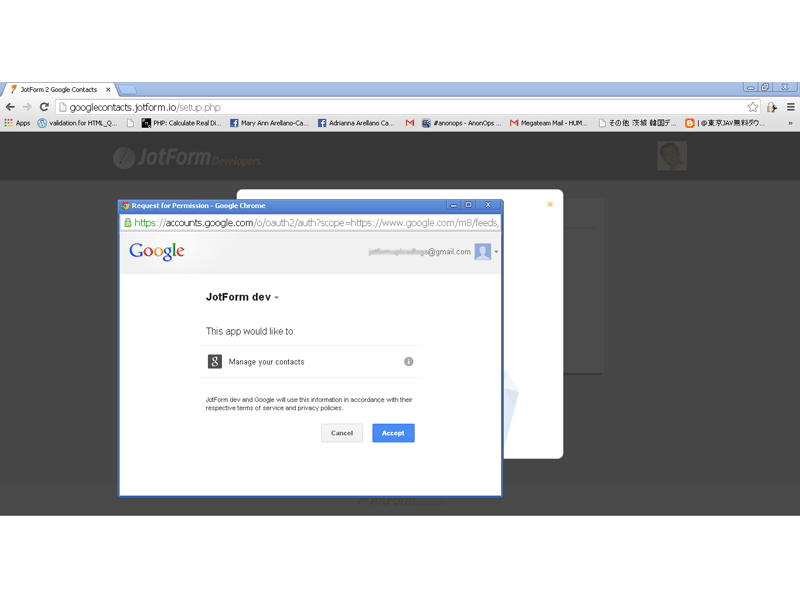 Each contact can contain basic information like names, email addresses, and phone numbers, etc. 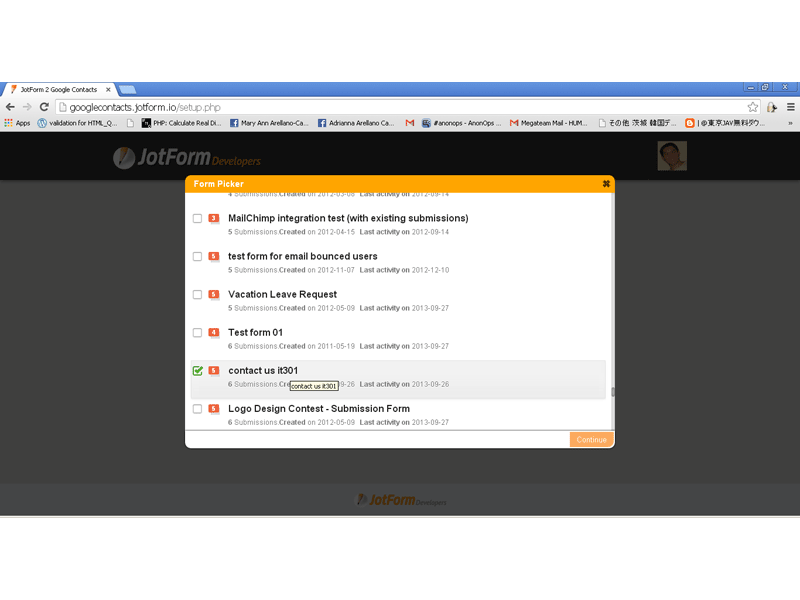 With the JotForm, you can now sync your form submissions to your Google Contacts with just a few clicks, and continue syncing your form every time you receive a submission on your form integrated with this application. This would get 5 stars if it imported all of your contacts instead of the 100 contact limit. Stopped working randomly.. imports data on first connection to Google but after this contacts don't get added.. not good.. pretty useless.